Our recent article regarding the fact that an Indian purchaser of a CBI passport from Antigua & Barbuda apparently was never informed that acquisition resulted in severe consequences, is not a unique situation. Russian nationals who obtain a dual citizenship thru CBI also face restrictions and controls, and if they were adequately advised, in advance, of those issues, they might choose to reconsider becoming dual nationals. (1) Russian citizens who acquire dual citizenship are required to notify the Government of their country within sixty (60) days. Should they fail to do so, fines on an increasing scale are imposed. There are reports that violators oft he notification regulation have had their Russian passports summarily confiscated, and all subsequent efforts to obtain a replacement are not successful. Inasmuch as most CBI passport holders do not wish to inform their home country about that fact, for tax, law enforcement or other reasons, Russian government action is a real threat. (2) Dual nationality is expressly prohibited for Russian nationals who hold most government, administrative and political positions, and violators face severe criminal penalties. Given that the rule of law essentially does not exist in the Russian court system, convictions will invariably occur upon the orders of the country's leadership. Corrupt PEPs happen to constitute a large segment of CBI passport applicants. It is doubtful that East Caribbean CBI jurisdictions ever notify their Russian clients, in writing, of these restrictions. 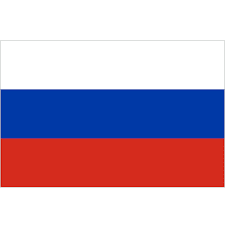 Given the large number of Russian nationals known to have acquired CBI passports in St Kitts & Nevis, and in Dominica, we wonder how many have run afoul of the Russian criminal justice system, or will the next time they pull out that CBI passport at an international airport. 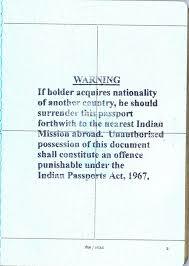 How many other foreign nationals are in violation of the law when they are handed a CBI passport ? Why don't the CBI agencies warn their applicants ? 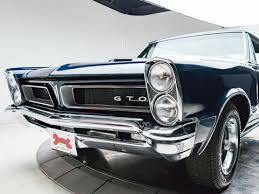 No, not this type of GTO; the FinCEN Geographic Targeting Orders that require real estate purchasers in Miami, New York, Texas, California & Hawaii who pay cash and use shell companies to disclose the identities of the Beneficial Owners of those corporations. US Senator Marco Rubio wants them extended to cover the entire United States; He has a valid point. We salute him, and support any bona fide effort to crack down on foreign nationals laundering criminal proceeds through American real estate investments. 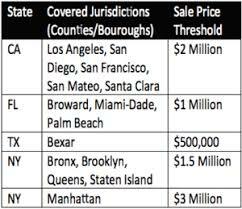 According to a report, cash sales using shell companies declined 95% when the GTO was placed into effect in Miami-Dade County. This isn't about privacy, it is about money laundering. While there have been many articles about the House of Commons Interim Report Disinformation and 'Fake News', hyperlinks to the original source are not being inserted in the stories, so readers who wish to review it may access it here. The ongoing flap over how a prominent fugitive fraudster from India was granted a CBI passport last year by Antigua & Barbuda has just gotten worse. Reliable sources with expertise in the law of India have declared that Choksi's acquisition of a second passport was a violation of the Constitution, as India does not allow dual citizenship, under any circunstances. 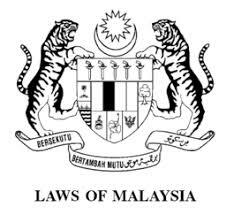 (2) The CIP unit obviously never checks local laws of applicants' jurisdictions, to ascertain whether the issuance of a CBI passport causes the applicant to violate the law. This leads me to believe that virtually all CBI applications are processed by clerks and secretaries, and that in-house attorneys, if they even exist, do not review applications. Even the most junior lawyer would have researched the law, before signing off on the applicant. Again, this is further evidence of zero due diligence. This brings up the issue of validity of CBI passports in general. Are a number of them void as a matter of law, due to the laws of the applicant's country of origin, or voidable, at that country's option ? Can banks in North America and The European be found liable for onboarding new customers presenting CBI passports that are later held to be void ab initio ? Without a historical look-back at all the outstanding CBI passports, issued by Antigua, St Kitts, Dominica, St Lucia & Grenada, we will never know for sure. Readers are urged to review the new white paper on Concelment of Beneficial Ownership, recently published as a joint effort of the Financial Action Task Force and the Egmont Group. The outstanding 100-page effort contains extensive case studies. The complete text of the pdf document may be accessed here. A test, conducted by the American Civil Liberties Union (ACLU) on a prominent facial recognition software platform, confirmed that compliance officers who are considering what program to acquire should carefully check the effectiveness of each program, prior to purchasing it for Enhanced Due Diligence AML/CFT investigations. 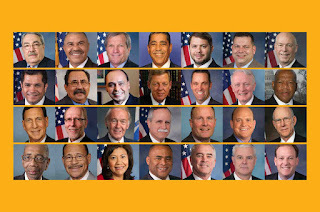 The ACLU, using a commercially available FRS program, ran the photographs of the Members of the United States Congress through it, and, to its consternation, returned 28 positives from criminal mugshots. While the provider immediately noted that the ACLU was working with 80% confidence, and stated that a 95% rating would be more appropriate, 80%, which is the default rating, is the rating curently in use by American law enforcement agencies using that specific tool. Members of Congress who were Persons of Color had More than 40% of the false positives, although they represent less than 30% of the group, which has fueled concerns that the program is neither accurate nor effective. Before committing to a specific FRS product for AML purposes, you need to be assured that it will be effective, through actual testing, until a consistent pattern of effectiveness emerges. Just as many data companies jumped on the AML compliance bandwagon after 9/11, althrough they had no background in the field, and their products were often ineffective, the emerging facial recognition software industry has had its share of eager firms, all seeking a part of the market share, but without an effective product; Let the buyer beware. 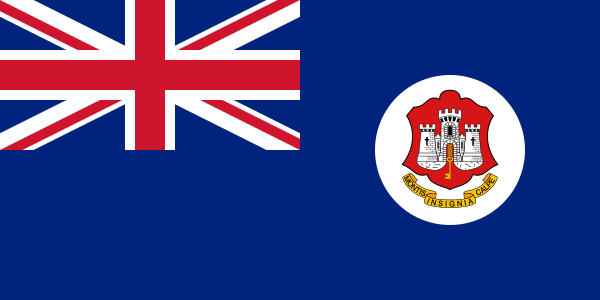 The Interim Report,* for the second half of 2017 of the Financial Reporting Authority of Cayman Islands Government, shows a curious deviation from the norm. Suspicious Activity Reports, more commonly known as SARs, increased ninety per cent from the same six month period in 2016. One noteworthy statistic: 220 SARs were filed during the month of December, 2017. This anomaly may have been caused, say Caymanians, by compliance officer awareness of the 4th round of the CFATF, Mutual evaluation, but there may be another cause. Was the increased SAR activity a response to the pressure of media coverage of what came to be known as the Cayman Gang of Four scandal, which was the theft of a reported hundreds of millions of dollars of assets owned by elderly Canadian pensioners and retired businessmen and professionals. Readers who have heard and seen the public statements of the Prime Minister of Antigua & Barbuda, Gaston Browne, stating that his country's Citizenship by Investment (CIP/CBI) Program receives Enhanced Due Diligence reports on all its applicants from the United States Government Embassy in Barbados, we made inquiries with the individuals who would have received such queries, and we have learned that no such requests for information have never been made by Antigua's CIU. Browne's assurances, which the global banking community has relied upon, when dealing with CBI passport holders, have turned out to be without a basis in fact. When you add this information to our previous article*, which confirmed that INTERPOL is not being used to supply information to Antigua, through its members, one must regretfully conclude that there is little to no due diligence being initiated on CBI applicants, notwithstanding the hefty fees being charged. An audit, if conducted at the CIU, will quickly determine where those fees were diverted to, and who the recipient was. 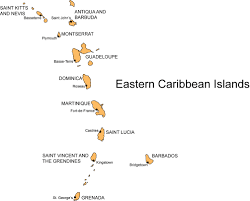 The problem is that, in the rush to process CBI applicants for the programs being administered by the five East Caribbean states, shortcuts have been taken by government officials, to reduce processing time, and proper Enhanced Due Diligence investigations appear to be the first items cut out. That is why the programs require effective and qualified experts in the EDD field, from outside government, to administer the investigations. Anything else is pure folly, what we call governmental malpractice. 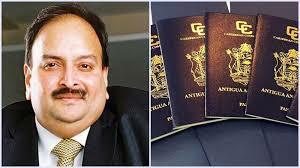 The Indian fraudster and fugitive, Mehul Choksi, was granted a CBI passport by the Citizenship by Investment Unit (CIU) of Antigua & Barbuda, in November of 2017, without previously conducting even a modicum of due diligence in advance, and later lying about it when Antiguan media, and the voters of the country, demanded answers. This is proof positive that a complete housecleaning at CIU is in order. This was not some five year old case; Choksi got his passport at the end of 2017. It is conclusive proof that Antigua's CIU continues to approve criminal applicants for CBI passports, without any meaningful due diligence whatsoever. Without meaningful Enhanced Due Diligence in place, you can expect to see much more of the same in 2018. WILL THE UK REGULATION ON PUBLIC DISCLOSURE OF BENEFICIAL OWNERSHIP OF FOREIGN CORPORATIONS THAT OWN UK REAL ESTATE KILL THE BVI'S GOLDEN GOOSE ? 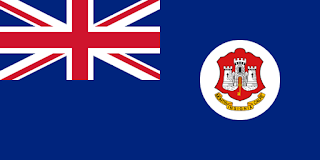 The BVI government's perennial position, that it will not release to the public a register of beneficial owners of BVI companies, until other jurisdictions follow suit, has just lost that argument. The United Kingdom, by 2021, is requiring foreign corporations that own real estate in the UK to publicly disclose their ultimate beneficial owners. Both the BVI and the Cayman islands have been playing that game for years, but fortunately they will no longer be able to hide behind that excuse, and it may result in a major decrease in their lucrative shell company business. Violators will reportedly face potential prison terms of up to five years, and an unlimited fine. The British Virgin Islands has been the global jurisdiction of choice for attorneys whose clients wish to conceal their ownership of expensive real estate, and the majority of pricey London real estate sales in recent years have been to shell companies, including many from the BVI. 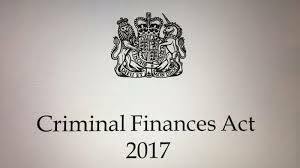 We wonder how many top-drawer London estates will now be put up for sale by their Russian owners, ahead of the effective date of this reported amendment to the Criminal Finances Act, which became effective in 2017. 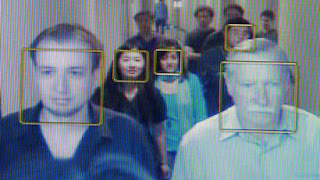 A large number of compliance officers at international banks, where they regularly onboard affluent foreign clients, continue to regard the use of facial recognition software as optional, or ignore its usefulness altogether. This is a major mistake, for criminals, whether they be engaged in money laundering operations or other financial crimes, terrorist financiers or sanctions evaders, all enploy what has come to be known as Identity Management, to successfully outwit even the most experienced compliance officer., unless he employs a facial recognition platform, to confirm identity. (1) the criminal actor, through payment to a corrupt government agencies and entities, obtains solid, albeit bogus, proof of identity, generally a passport & drivers' license, from his home country. He will supplement this alias identity with all the usual indicia of identity that confirm who he is, and where he ostensibly lives and works. 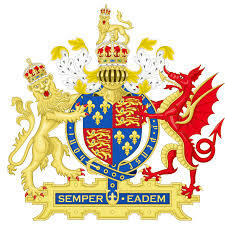 (3) Finally, using third parties, he will apply for, and obtain, a Citizenship by Investment, known as CBI/CIP, passport from one of the European or Caribbean jurisdictions engaged in their sale. He now has created two layers of protection, between the truth and his documented evidence of identity. Now, this individual seeks to open a major account relationship with a North American or European financial institution, professing to be a wealthy international businessman. In truth and in fact, he has either a criminal record, links to countries or entities supporting terroriasm, or is an accomplished evader of international sanctions. His new identity is totally clean, and if a compliance officer engaged in Enhanced Due Diligence of data alone makes inquiries, he will most likely pass scrutiny. However, if that same compliance officer were to utilize an effective facial recognition platform, he would learn of the prospective client's true identitty, and his scheme would be foiled before any funds could be deposited and transferred globally. Either an image from his dark criminal past, passport photograph, social media image, or other photographic evidence would immediately serve to rule him out as a client or customer. 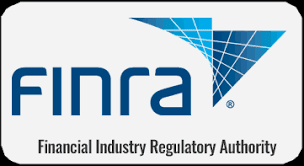 Given the expansion of jurisdictions issuing CBI passports over the last decade, the use of facial recognition software to properly identify new clients has become a mandatory element of AML/CFT compliance programs; it is time for all compliance officers, in any financial industry, to move into the twenty-first century and incorporate it into their programs, lest they be continually fooled by Identity Management techniques. 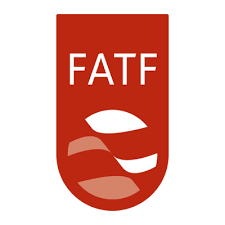 The Financial Action Task Force recently published a President's Paper entitled Anti-Money Laundering and Counter Terrorist Financing for Judges and Prosecutors. Readers who wish to review the white paper may access it here. The Federal Bureau of Investigation has released the complete text of the 412 page Verified Petition that was filed to obtain a FISA warrant against Carter Page. Readers who wish to review the document may access it here. 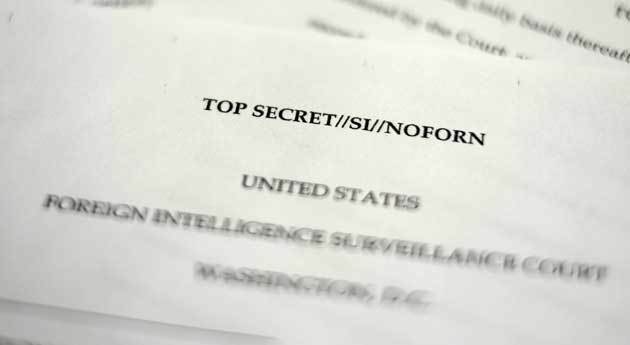 While the document has been declassified, kindly note that a substantial portion has been redacted, but enough remains to detail the multiple elements of Russian intelligence activity that were alleged in support of the petition. 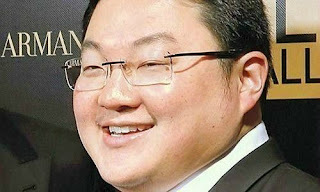 Jho Low, accused of diverting billions of dollars from Malaysia's sovereign wealth fund 1MDB, has been a fugitive on the run from his country's law enforcement agencies. International media from China is reporting that Chinese authorities arested Jho when he attempted to enter the Peoples' Republic from Hiong Kong. I imagine he was quite surprised when taken into custody. Jho was reportedly depending upon his Dt Kitts CBI passport to protect him from the law in his home country, and abroad, but apparently China disagreed. It detained Jho, when he attempted to further evade justice by entering China. 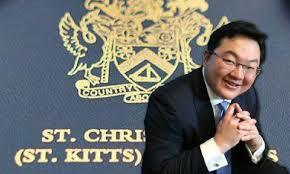 Some sources claim he was en route to St Kitts, from which he could not be extradited. This is a testbook lesson in the reality that a CBI document is not the Golden Passport that its sellers claim it to be. Jho might not be extradited to face the music in Malaysia, for political reasons, but might now be doomed to spend a couple of decades behind bars in a nasty Chinese prison, trapped in a form of legal limbo which he cannot easily escape from. Viktor Bout's former partner, Richard Chichakli, has filed a Pro Se motion for early termination of his two year Supervised Release obligation, which was a part of his sentence. The US Attorney in New York has opposed it, stating that his conduct is not exceptional, and therefore early termination is not justified. Chichakli paid all the costs assessed against him, including the $70,000 restitution, and he has lived and worked without incident since his release in 2017. What's wrong with this picture ? 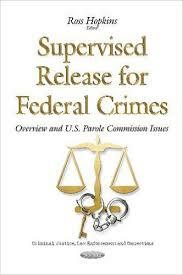 The purpose of Supervised Release is to monitor the post-incarceration conduct of a criminal defendant, to kep close tabs on him, and to prevent him from re-offending, as recidivism is a major problem in our criminal justice system. Chichakli, like most white-collar defendants, has served more than half of his Supervised Release, and as is customary, when the defendant is clean, the courts often terminate it early. In this case, the interests of justice are not the motivation. It appears that the Department of Justice, not able to charge him with serious crimes, has made every aspect of his sanctions case as difficult as it could, from giving him "diesel therapy," where he was shipped all over the US, for no valid reason, to obviously interfering with his ability to prepare for trial, the ends of justice are not served. These were punitive actions, from any objective viewpoint. Since he is a United States citizen, he cannot be deported; I am sure that the US Attorney's office in New York City would have loved to have kicked him out of his adopted country, but alas, they could not. So now, they must be satisfied with a cheap shot. Let us hope that the Court is objective regarding his motion. A draft law pending in the Parliament of Egypt will, if it becomes law, allow foreign nationals to obtain Egyptian citizenship, in a move reported to have been made due to the country's large sovereign debt. An applicant, who will pay the equivalent of approximately $400,000, and resides in the country for five years, will receive citizenship, while his deposit goes into the country's national treasury. This legislation, which faces some opposition in the country, is also intended to invite foreign investment, which left when the Arab Spring began, to return, as it allows foreign investors the opportunity to reside there whole overseeing their holdings. 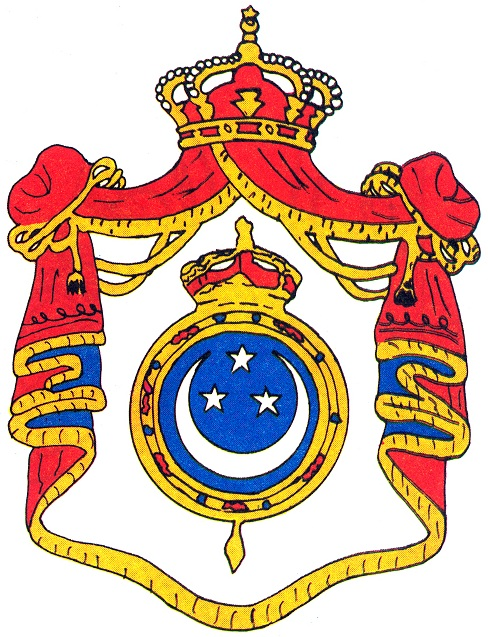 Inasmuch as Egyptian passports require visas to visit Europe, North America, and even the Middle East, they are not deemed to be desireable in the traditional CBI sense, but visa-free travel to the East Caribbean states who also sell CBI is strangely available, probably as an incentive to Egyptians to travel there and pick up a second passport. If the bill becomes law, we shall report back with further details. 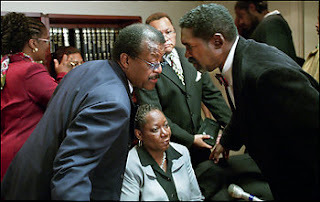 The Court of Appeals of Maryland, the state's highest court, has disbarred* prominent College Park attorney Walter Lloyd Blair, who served a lengthy sentence for money laundering, witness tampering, and ten other charges, which were affirmed on appeal. Blair filed an unsuccesful action against then-US Attorney Rod Rosenstein, whom he accused of being prejudiced against him, due to his Jamaican origin. Blair on right, civil rights case co-counsel Johnnie Cochran on left. Blair, who was suspended in 2010 after his conviction, applied to be readmitted after his release in 2017. The high court denied his Petition for Reinstatement. 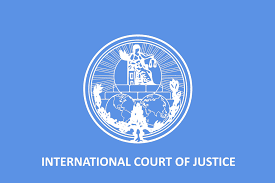 The Islamic Republic of Iran has filed an action in the International Court of Justice, against the United States, asking that sanctions and other restrictive measures, that the US will now reimpose on Iran, after withdrawing from the Joint Comprehensive Plan of Action (JCPOA), are a treaty violation, and must be withdrawn, and Iran compensated. 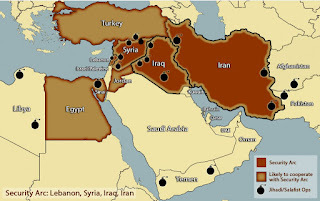 Iran's action is based upon a 1955 treaty with the United States, though there are issues regarding whether Iran itself violated that treaty many times, including the seizure of the US Embassy in Tehran in 1979, and the taking of American diplomats as hostages. The ICIJ has published a summary of the proceedings, including the prayer for relief, which may be viewed here. The Court site advises that the complete text will be available shortly. If you have been following the American outrage, over the repeated confirmation of Russian penetration of US institutions, we can expect to see its law enforcement and intelligence agencies continue in taking a closer look at Russian operations in the Caribbean, especially the user-friendly East Caribbean CBI states. 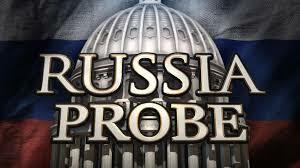 In the East Caribbean, where revenue-hungry politicians court obviously dirty Russian money for CBI and diplomatic passports, offshore banking licenses, and investment capital, with the attendant bribes and kickbacks, the United States is painfully aware of what is occurring. Its intelligence agencies are in the field, reporting back on the Russian footprint, and not much gets past them. Take Dominica, who sends a CBI consultant from North America to Moscow, as its resident ambassador. 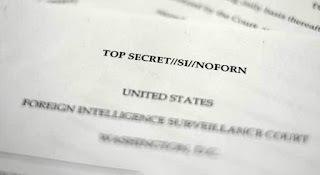 Obviously, his posting there is to sell CBI passports to Russians, and given the dysfunctional level of due diligence Dominica performs upon applicants, those applicants may be GRU intelligence officers, working undercover, or sowing disinformation or misinformation, or moving money in support of Russian foreign policy. Sooner or later, the welcome mat that the CBI states have put out for soiled Russian greenbacks will draw the wrong kind of attention from the US, if it hasn't done so already. In an effort to bar Russian influence seeping into the US from the Caribbean, expect strict measures, including sanctions, more de-risking, money laundering investigations, other financial crime cases filed in US courts, and visa restrictions. All this may be painful to already depressed Caribbean economies. Therefore, inasmuch as the CBI republics will always seek to maximize cash flow, expect that there will be a price to pay, so long as the officials there turn a blind eye to Russian capital, and those who use it to move against United States' interests. 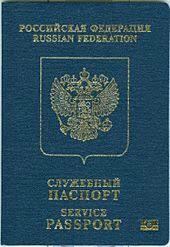 IS THIS HOW RUSSIANS ARE PAYING FOR THEIR DOMINICA DIPLOMATIC AND CBI PASSPORTS ? Meet Dmitrijus Apockinas, a Lithuanian banker, educated in Moscow. He is so close to Dominica's Prime Minister, Roosevelt Skerrit, that the PM named his son after him; Skerrit's first-born legitimate son is named Dimitri. Apockinas, who has a fistful of Dominica passports, currently lives and works in London. It was not always so; longtime Caribbean observers may recall that he was the owner of Griffon Bank, Ltd., an offshore Dominican bank then located in the Government finance Centre, on Kennedy Avenue, precisely where Skerrit maintained his offices. Griffon was later sold to his Russian partner in crime, Vladimir Antonov, who needs no introduction. Antonov is currently in custody in Russia for bank fraud, among other charges. He allegedly was involved in criminal activity, including money laundering, in both the Baltic countries (Bank Snoras), and in Russia, which has been previously reported on this blog. Both Antonov and Apockinas own the West Indies Power Company (WIPO), which was rumored to have paid a substantial bribe to secure a government license from Dominica, to engage in geothermal drilling on the island nation. The bank was renamed Banco Transatlantico, and a branch was organized in the Republic of Panama as Banco Transatlantico SA. Antonov was the Vice President, and Apockinas was Secretary; the president was Jorge Jelinsky. Transatlantico subsequently went into liquidation in Dominica, and bank customers lost all their deposits. After the bank's failure, Apockinas holds a number of positions, including at Net Element, Inc., a payments processing company on South Florida. His LinkedIn page claims that he was the CFO there. He relocated to London, currently residing in Penbroke Gardens. 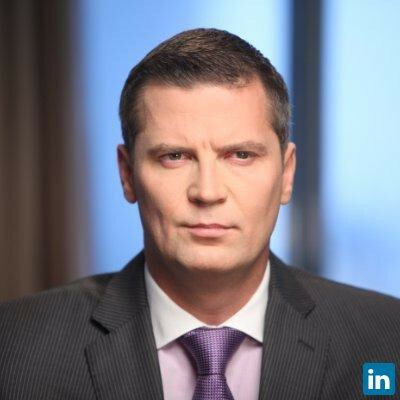 (1) Rafal Andzejevski, a Lithuanian engaged in trading with Russia, primarily petroleum products. 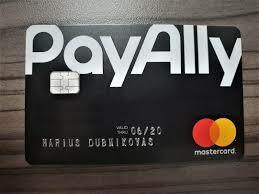 (2) Maxim Ivanchenko, a Russian national, and IT specialist, and the founder of Advapay OU, which is registered in Estonia. Though PayAlly has a London base, it also maintains a customer support facility, for Russian-speaking clients, located in Warsaw, according to the published telephone number. The question remains: is Apockinas facilitating payments, by wealthy Russian nationals, for Dominica diplomatic and CBI passports, through Payally, and its affiliates ? 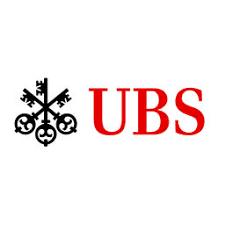 Readers who have clients doing business in Pakistan should review the complete text of the Agreement between the Federal Reserve Bank of New York and Karachi branches of United Bank Limited, regarding the remediation of serious BSA/AML deficiencies. You can access the Agreement here. PLEASE TAKE NOTICE that the article which appeared here, formerly entitled "Will the Law Society of Upper Canada now investigate lawyer for St. Kitts corruption allegations ?" has been duly removed and is hereby retracted and cancelled in full, due to the fact that the source of the information has failed to provide an evidentiary basis for his statements, which were the sole source of the article. Our apologies to all persons or parties concerned or involved. The principal of a major CBI consultancy in the United Arab Emirates (UAE) has noted, in a recent interview, that the country which represents the largest number of their CBI applicants is Pakistan. 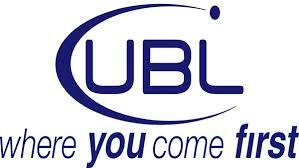 The executive also named the other nations whose nationals have been his firm's CBI clients. The consultancy stated that it matches up applicants with the two CBI jurisadictions in Europe (Malta and Cyprus), and the three located in the East Caribbean (St Kitts & Nevis, Dominica and St Lucia). These are principally countries that are not democracies, and which have Specially Designated Global Terrorist organizations operating within their borders. 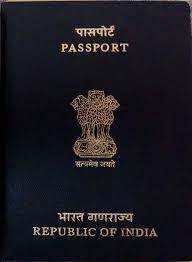 Assuming that the CBI applicants from these countries present clean and authentic alias identification, sanctions violators, terrorist financiers or foreign intelligence agents, such as Pakistan's ISI, could obtain CBI passports, allowing them to enter the Schengen Zone, visa-free, seriously raising risk-levels. 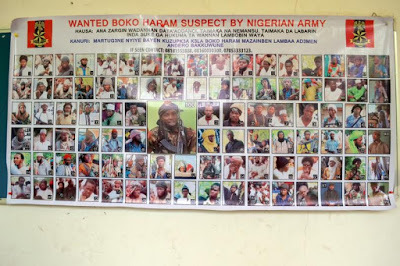 It is issues like this that keep counter-terrorist agencies up at night. CBI passports allow both criminal, as well as terrorist, elements, to successfully enter, and operate, inside Western democracies. That is why jurisdictions that sell economic passports become high-risk targets for foreign law enforcement and intelligence agencies, and anyone that holds a passport from such jurisdictions are regarded as suspects. This is the unintended consequence of all that CBI cashflow. 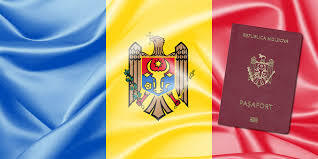 The Republic of Moldova, a country where widespread money laundering scandals and billion dollar frauds are rampant and uncontrolled, has announced that it is creating the Moldovan Citizenship by Investment Program (MCBI). While neither a member of the EU or the Schengen Zone, Moldovan nationals have visa-free access to Europe through a treaty, making a Moldovan passport attractive for citizens from high-risk or sanctioned jursidictions. Unfortunately, the visa-free privileges come at a high personal cost, as Moldova's image as a center for organized crime more or less paints a red bull's eye on the back of any foreign national who presents a Moldovan passport at an international port of entry. CBI consultancies generally never inform their clients about the specific negative aspects of acquiring the passports of certain CBI countries, including whether you will draw unwanted international law enforcement attention with your new passport. Though the Schengen Zone access is tempting, any foreign investor who chooses to purchase a Moldovan passport is probably asking for more trouble than they bargained for. Nobody wants their banks accounts checked out by law enforcement, just because their passport states where they come from, but it is the logical outcome. Do you really want to be under a legal microscope ? Lengthy interrogation by customs officers, strip searches, and extensive bags and baggage inspection most likely lay ahead for the Moldovan CBI passpot holders. Some might even call it guilt by association. while the CBI programs of Cyprus and Malta are more expensive, they will come with a lower level of risk. As always, before making any important decision, prospective applicants for CBI passports are advised to seek the advice of a qualified attorney., but in my humble opinion, rule out Moldova for the reasons listed above. In any offshore financial center, there are always a couple of rotten apples; professionals who walk on the dark side, which means money laundering of bribes and kickbacks, covering up tax evasion, and washing criminal proceeds. The Panama Papers and the Paradise Papers are but two examples of law firms who have passed from the grey area, into criminal facilitation, and what damage they inflict as the result. One of Gibraltar's law firms is currently representing a gang of master cybercriminals, who have left a trail of victims in three continents. On this side of the Pond, over in Trinidad, the losses reportedly exceed $100m; the SEC and US law enforcement agencies are actively investigating them. Obviously, they will leave European victims in their wake, and the law firm will profess its innocence, and go right back to doing the same thing again: facilitate financial crime. So how did this prominent law firm fail to conduct the most rudimentary due diligence upon their new clients, before undertaking to reprsent them ? Even a cursory Google search would have exposed their sins and transgressions. Don't attorneys in Gib engage in Know Your Client ? 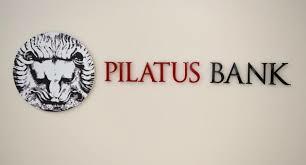 We hope that some cencerned citizens in Gibraltar unmask this law firm, hopefully by exposing their sordid activities. Let a Gibraltarian post the passport pictures here, and the story of this gang's cybercrimes. Sources inside Egypt have stated that the Brotherhood has specifically targeted the most affluent of Egypt's Coptics, for the purpose of stealing their significant assets after their deaths. 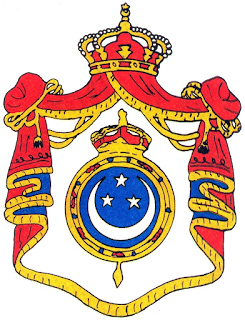 Given that the Copts have existed in Egypt for two milennia, these holdings are substantial. Many Coptics have chosen to emigrate abroad, to Western countries where freedom of religion is assured. International banks in Europe, particularly those who have branches or correspondent relationships, in Egypt, should be alert for large new and unexplained deposits, from Egyptian nationals, as they may represent assets taken from Coptics who were killed. The holders may wish to remove these funds from their country, to escape their possible seizure, at a later date. As they represent the proceeds of crime, any such deposits constitute money laundeing offenses. Check the prior lines of business, and account history, for those who are making substantial new deposits, and obtain Source of Funds verification, from an independent entity, before accepting any large and unexplained amounts, lest you later are identified for cleaning stolen money, and sending it abroad. 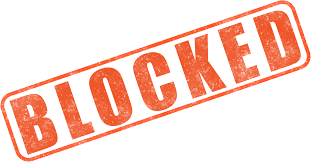 The problem that compliance officers face, when dealing with new foreign customers who declare that they are merely successful businessmen in their home country, is ruling them out as Politically Exposed Persons, or PEPs. 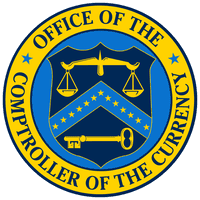 Individuals fronting for corrupt government officials will go to extreme lengths to create a false profile, consistent with the trade or industry that they claim to be engaged in, all to cover up the fact that they are seeking to move the proceeds of either corruption, or other criminal activity, into your bank. The best method of identifying them as PEPs is to utilize social media resources. This does not mean you go on Facebook, or some other media website, searching for their presence. it means that you utiilize a social media souce that searches all potential social media sites, for both direct, as well, as indirect, confirmation that your target is indeed a PEP. While a well-prepared hidden PEP will most likely have no direct connection to the government officials that he is moving or laundering money for, these platforms search for indirect, aged, and even irrelevant material, on spcial sites which will lead you to conclude whether or not he has PEP status. These platforms search for not just friends & family, but for old school connections, fraternal associations, prior business associations, or some which can show your target present at media, charitable sports or social events, which may confirm his relationship with individuals who have known access to either government assets, and/or are suspected of corrupt activities. When your prospective client is photographed sitting next to someone at a New Years' party, wedding, social club annual dinner, or charitable function, a rebuttable presumption arises that he is not with that individual by accident. When he gives an award, at a dinner, to someone who you would not have as a bank client, alarms should ring in your head. When your target shows up at a function, at a private club, look at the members sitting at his table; you can do that only through social media images, collected for you by your platform. Social media search platforms use artificial intelligence to find your target when he is off duty, and when he thinks nobody is watching, but eager social media posters just may have taken his picture, having drinks with some bad people, and your search found him there in a posting. He may be artfully concealing his PEP status, but you now know better. 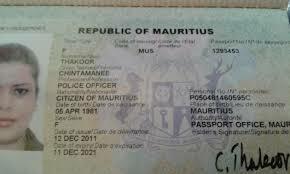 Mauritius has announced that it will be offering citizenships for USD$1m, and passports alone for $500,000, though many citizens of that nation, the sole democracy existing in Africa, have objected, saying that their nationality is not a commodity to be bought and sold. They also fear that Mauritius' growing reputation as a tax haven and money laundering center will be further tarnished by criminal elements purchasing their passports, which offer visa-free entry in most of the Middle East. 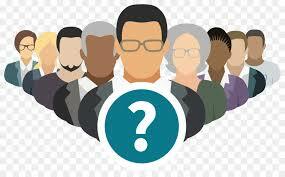 DOES ONE RUN FACIAL RECOGNITION FIRST OR LAST IN EDD INVESTIGATIONS ? There appears to be a difference of opinion among compliance officers conducting enhanced due diligence investigations: do you run the target's image through your facial recognition program at the very beginning of your EDD, or do you access it when your work is complete, to validate your findings ? One school of thought states that, in a world where bogus identities, through passports that can be easilty obtained under clean aliases, including second passport programs, one must check first, before wasting valuable time, in any investigation of a target and his identity. 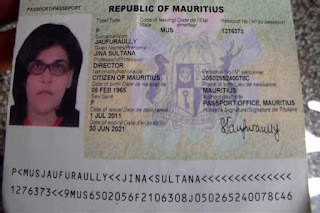 Check the primary official documents of identity, including passport, drivers' license, identity card, and whatever additional items that the client presents first, to rule out any inconsistency between images that are known to be of the client, and that which have been presented to you as genuine at account opening. The second group believes that the entire due diligence program should be completed, and then the facial recognition program should be run, to insure that your findings are correct. If you were totally deceived by a target's false identity, after the facial recog is completed, then you must reexamine the strength of your compliance program, as that means identity documents presented to you by supposedly trusted sources were faulty from the start. How is it that they passed the initial sereening? Whether you choose to initiate facial recognition inquiries at the beginning or at the end, it is an indispensable component of your EDD program. It is your positive verification of identity, using multiple resoures, including official, unofficial, social, media, and other image sources. 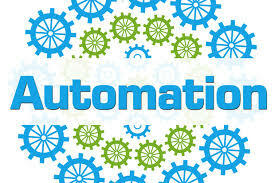 Rely upon it for a result more accurate than any other platform. Affluent foreign investors, who have been seeking economic passports through the Citizenship by Investment (CBI) Programs being operated in five East Caribbean States, are making application there in far lesser numbers this year, when compared to the two previous years, and are reportedly looking at programs in other regions, especially in Europe. (1) Rampant negative news coverage of rampant official corruption in those countries. 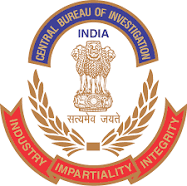 (2) The continued failure of each nation's CBI agency to institute Enhanced Due Diligence investigations upon all applicants, resulting in career criminals, terrorist financiers, and the usual suspects being approved, but later are arrested by the authorities for criminal conduct. (3) The collapse of Petrocaribe, which delivered Venezuelan (and some say Iranian) oil to the East Caribbean under extremely favorable terms. The failure of Venezuela to ship any petroleum products has spawned riots this week in Haiti, and vocal public discontent in Antigua & Barbuda. (4) the foreign misperception that the last hurricane seriously damaged all the island republics. Both St Kitts & Nevis, and the Commonwealth of Dominica, have published obviously grossly inflated figures of the number of their applicants, whereas the true 2018 figures are extremely small. Will the standards for new applicants be lowered even more, to increase revenue, which was never meant to meet local recurring budgetary expenses ? If so, expect even more career criminals to come calling, and be eagerly accepted. Whether the high net worth applicants will continue to divert their interests to Malta, Cyprus, and other more stable countries depends upon whether the East Caribbean States suppress corruption, upgrade their CBI EDD, and develop their economies. We hope they get the message. Rampant violence in Port-Au-Prince, and other cities in Haiti, due to the government's decision to remove subsidies on gasoline, diesel and kerosene, which will cause prices to rise as much as 51%, could bring down the current government. 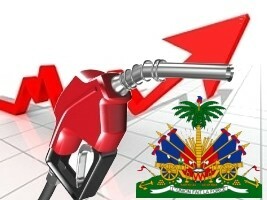 The combination of Venezuela's Petrocaribe's recent failure to distribute to the Caribbean countries, and US sanctions, which interfere with payments to Venezuela, has left Haitian consumers with prices that they simply cannot pay, resulting in popular revolt. Revolutions have begun for lesser reasons. 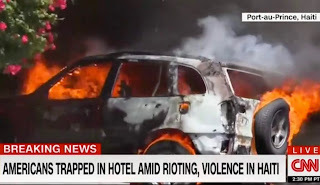 The government's announcement, that it was reversing itself on the subsidies, had no effect upon the rioting. 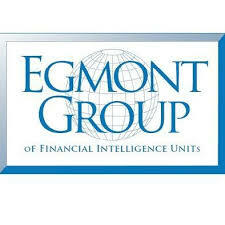 Note well that corrupt Haitian leaders, and the Politically Exposed Persons (PEPs) who front for them in North American and European banks, may fear regime change, which reports from Haiti could occur within the next two weeks, and move their illicit holdings, to avoid subsequent exposures and seizure by a new government in Haiti. Unusual funds transfers, both into and out of international banks in the West, as well as unexplained cash movement within the US and Canada, should be closely examined, especially if the sender is a Haitian "businessman," who claims his wealth was earned in his native country. If you are not familiar with the state of the economy in Haiti, legitimate commerce is dwarfed by the underground movement of drug profits, and the proceeds of systemic corruption whicb drains the country dry, and discourages significant foreign investment, when prospective investors are solicited by powerful PEPs to pay bribes and kickbacks, just to do business in Haiti. The corruption has essentially turned Haiti into a failed state. Therefore, examine in depth any major funds transfers, or attempts to transfer wealth, on the part of affluent Haitian nationals, or professionals acting on their behalf.